For more on my story from international swimmer to Ironman athlete and the background on the reasons for completing this event, my ‘Just Giving’ page can be found below. Any donations to try to reach my target of £10,000 for Bloodwise will be gratefully received! 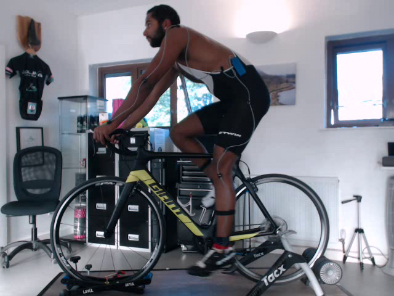 Back in the spring, after increasing my training volume, I was suffering with servere shin pain whilst running and really bad lower back pain when on the bike for over 45minutes. I knew from working with Rich in the past with previous injuries and with his experience from working with the Great Britain Triathlon Team that the treatment, rehab and advice would be the best for me. 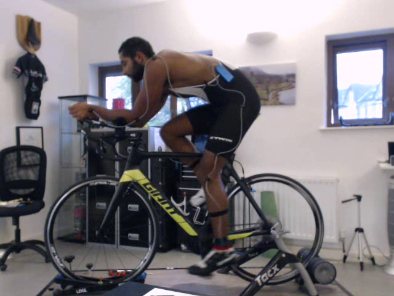 I’d had recommendations from friends who have had bike fits with Rich at Fit4-Physio before so it was a no-brainer to get my set up checked to help my back pain too. I had a new bike too and also wanted to fit tri bars for the Ironman race. Rich helped source the correct components and fit them too. I had also seen from social media that Jonny Brownlee (multiple Olympic Triathlon medallist) has been in for bike fits in the past which speaks volumes. The process of working with Rich has been excellent!!! The feedback and advice around training has been great and very professional. Whenever I have needed any advice Rich has always answered my calls and have never not had time to talk or respond to questions. He has also been very honest and hasn’t just told me what I have wanted to hear, but what he believes is the best advice. 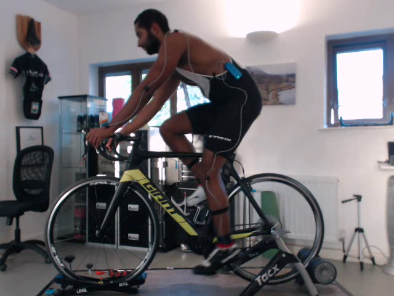 Since the bike fitting, I am a lot faster on the bike and with way less effort – free speed! But more importantly I am able to ride the longer rides with no lower back pain. I am currently averaging over 150 miles a week of riding pain free. After a carefully planned return to running, I have stuck to Rich’s guidance of building the mileage up steadily. With this and the rehab work I can honestly say that the return to running went amazingly well. I am achieving weekly distances (with no pain) that I didn’t think I would be anywhere near. I have also responded very well to the brick (bike to run) sessions which I thought would have been the biggest issue.